Siladen, a small island of Sulawesi archipelago, a village of roughly 300 inhabitants and a couple of resorts. Life here is simple. Kids playing on the beach or jumping in the sea from the jetty, women busy with the daily household, men often repairing the traditional boats and going out for fishing. 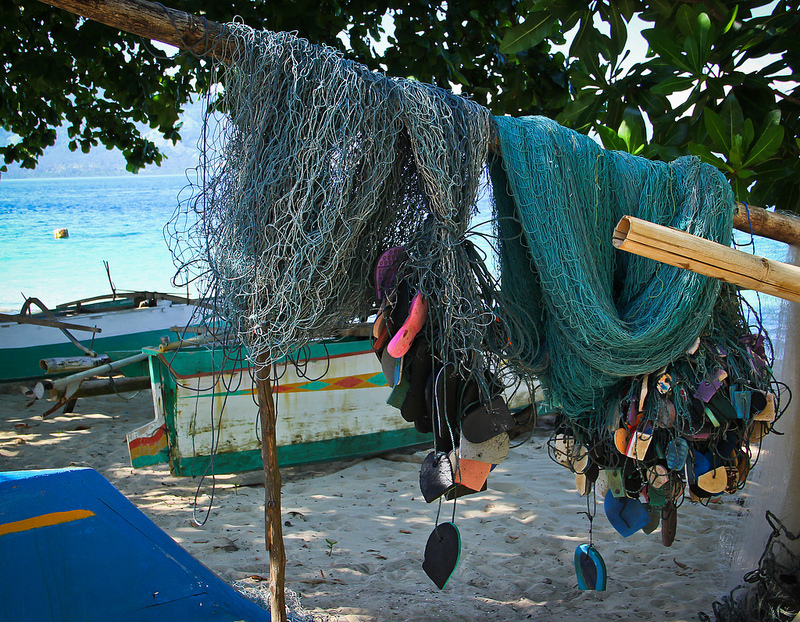 Something as simple as fishing nets can be beautiful. Waved in blue and with multicolored baits, they hang like sculptures. I stopped to look at the fishing nets in blue… once again surprised by how beauty and art can be found everywhere. Excellent photo.. I like the mix of colors. The fishing nets however always bring the thought of all the collateral damage they cause.